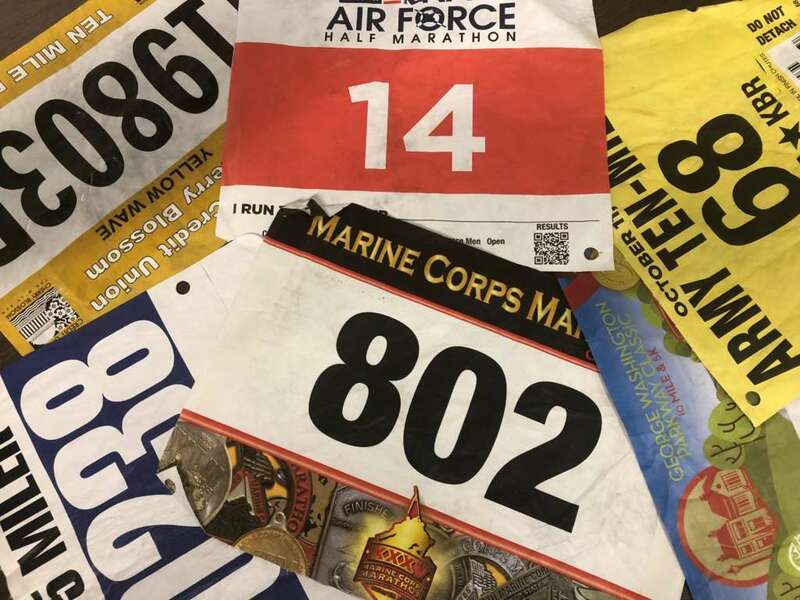 The call went out on a Saturday — “does anyone have an Army Ten-Miler bib?” The race was the next day. Responses on a message board wished the runner luck and others tried to start an impromptu waiting list. After a while, the sober voice of reason spoke up. It can be an unpopular opinion, but it’s backed up by the forms runners sign when they register for races. At last year’s Credit Union Cherry Blossom races, thousands of runners crossed the finish line in either the event’s 10 mile or 5K events on a chilly April day. Upon finishing, runners were offered a heat sheet — a mylar blanket that provides a small source of warmth. So when runners are ready to toss the blankets and head home, then what? The race’s sustainability team had a plan to make sure there was an eco-friendly option. 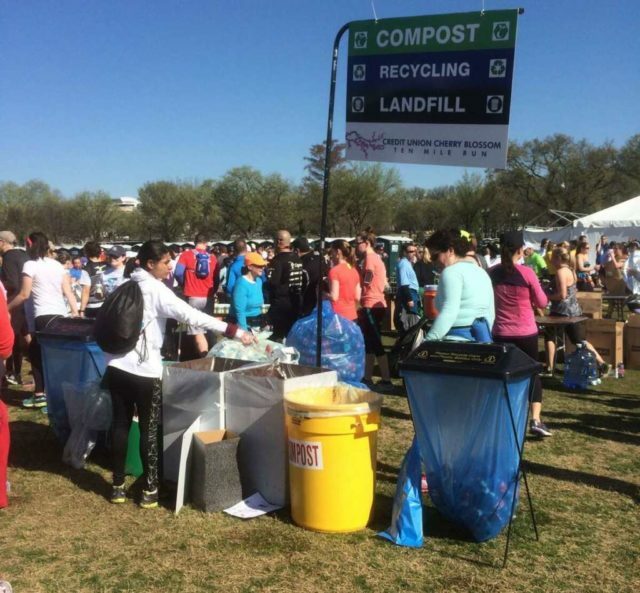 Instead of letting the nearly 20,000 blankets end up on the trash, and eventually a landfill or incinerator, there were specific collection points on race day where runners could ditch their heat sheets. Courage to Run (April 13) Race Director Freida Edgette shares her personal journey to race director and the mission her race advances. Chris Trebilcock (center) working during the 2018 Boston Marathon. You may not know their names, but you probably know their brands. 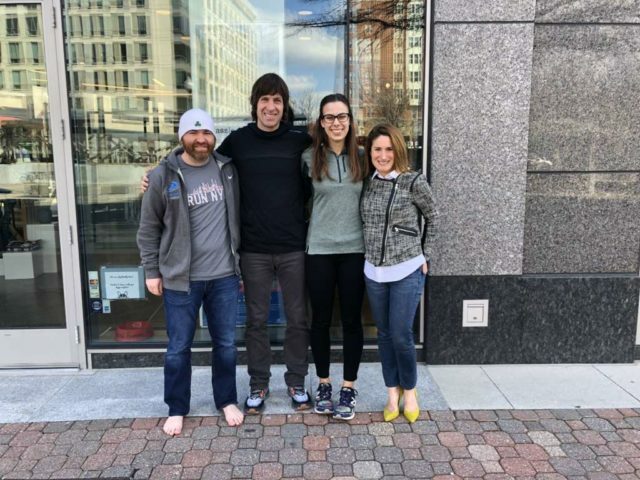 If you’ve been to a race expo, attended a brand-sponsored event, or even participated in a fun run at your local running store, odds are you’ve encountered a footwear brand representative. They are the hidden people behind your favorite running shoe brands, working across the region to make sure their brand and products are properly celebrated and understood. Put in simple terms, the job of a footwear brand rep is to interact with stores who sell that brand’s product. Reps ensure that the sales associates at those stores understand the product, know how to sell it, know what’s coming up next, and to assist with any events, education or promotion. In November of 2010–fewer than four months after he conquered the legendary Western States 100 mile endurance run in under 27 hours, and about a month after being diagnosed with stage four lung cancer–Mike Broderick passed away peacefully just days shy of his 54th birthday. Those closest to Mike, knew him as an avid ultra-runner with a sharp wit, a big smile and an abundance of enthusiasm for all things running. 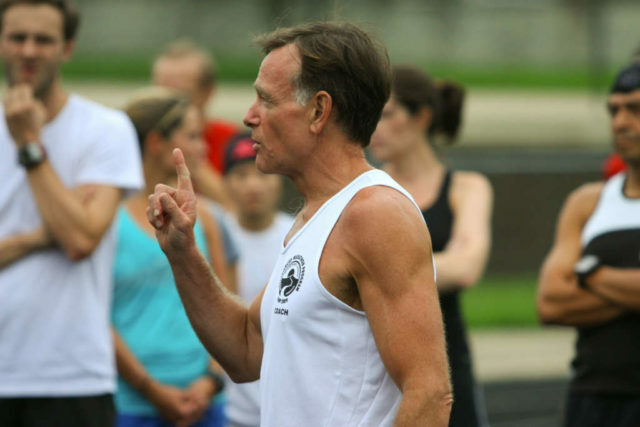 For the rest of the running community, he was best known as a coach, a mentor and a teacher. He was a bit of an evangelist, preaching his love of running to everyone who made his acquaintance. Mike, to his running disciples, was well known for his ability to respond in deep scientific detail to very simple yes or no questions. 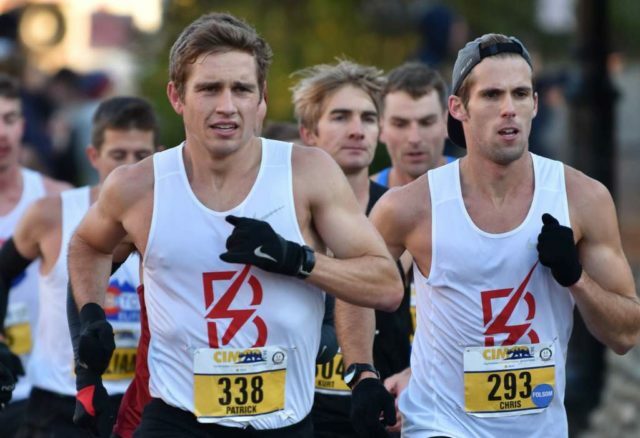 That legacy has kept a popular training group in his honor – Broderick to Boston, going eight years after his passing. Less than a week ago, Patrick Reaves was on the starting line – and on the list of “Olympic hopefuls” – for an eight-mile race in Atlanta. This was a special event held to preview the course for the U.S. Olympic Marathon Trials, now less than a year away. Reaves’s result will tell you that he ran 42:14, 5:09 pace, to finish 33rd, and that he lives in Portland, Ore. What it will not tell you is that the 34-year-old runner was actually racing in his hometown, the city where he ran his first marathon as a 19-year-old club runner at the University of Maryland. And while his result indicated — and Reaves himself will confirm it — that a fellow Nike athlete, and three-time national cross country champion, Chris Derrick, tagged along doing a tempo, it will not tell you that Reaves is a professional in the more traditional sense. He’s not paid to run; instead, he’s paid to guide Nike’s social impact strategy, a position that connected him to Bowerman Track Club’s elite corporate team when he and his wife, Valerie, moved to Portland in 2014. Reaves’s result also will not tell you how he earned the opportunity to be on the starting line: how, in December, at the California International Marathon (CIM), his half marathon split of 1:08:47 was a personal best. He then nearly PRed again, covering the back half only six seconds slower. This is how Reaves chopped approximately six minutes from his personal best to clock 2:17:40 and beat the sub-2:19 men’s qualifying standard for the trials. Now he’s a year away from competing in the event back in his hometown where his marathon journey began. John L. Head, Adrian Dixon and Doug Edwards take a break while officiating a meet at the Prince George’s Sports & Learning Complex. In 1967, college student Doug Edwards fired the gun to start a race at a track meet for the first time. 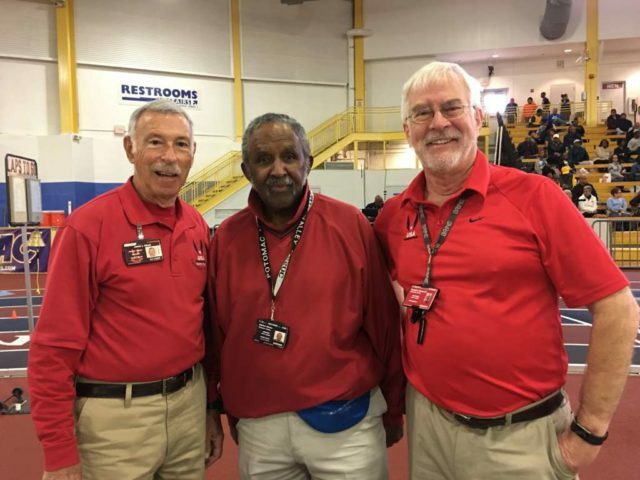 After a break from officiating that included graduating from college, serving in the Army, getting married and having children, Edwards, now 72, has been starting races at track meets since the late 1980s. A lot can go wrong with race pacing. Going out too fast could lead to an almost-certain wall-hitting, crash-and-burn scenario. Going out too slow could lead to a goal finish time slipping out of grasp. Pacing correctly can seem like a perfect science — and luckily there are some runners who work to master it and lead others to reach their goals. 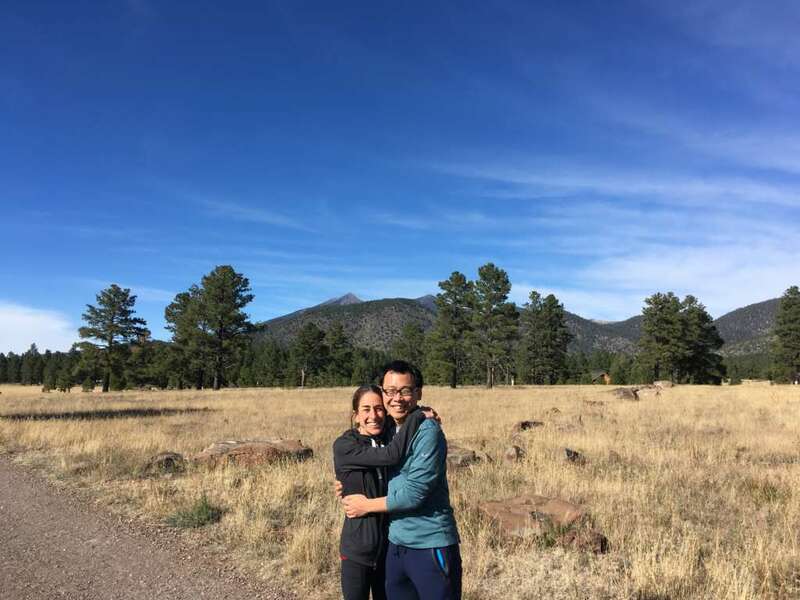 Many pace group leaders around the region work hard to put other runners’ needs before their own and see that participants are set up for success. 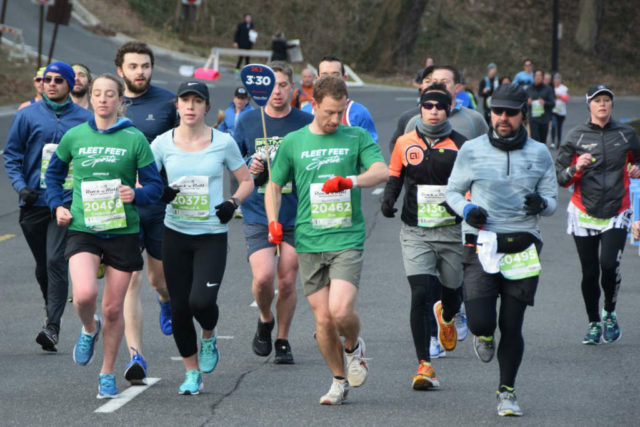 “We have a chance to help someone achieve a goal — really, how precious is that, right?” said Lara Mish, a pace group leader who has worked at races around the region for the last seven years. Mish will lead a pace group at the Rock ‘n’ Roll Half Marathon in Washington, D.C., this month. Kate Murphy’s legs were burning. It wasn’t because she had just run 4:07.21 to qualify for the 2016 Olympic Trials in the 1500 meters. Or had just run against a professional field to make it to the semifinals of those trials. Or any of the performances over three years that made her one of the University of Oregon’s top recruits in 2017. No, this was happening months later. 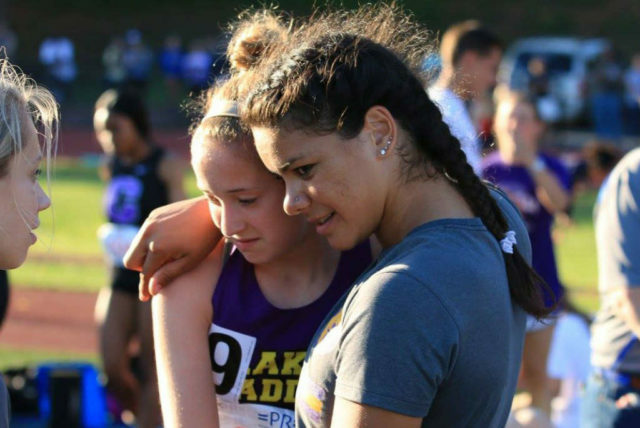 She had just run a routine workout around the Lake Braddock High School track, notching times she could hit in her sleep. The speed was there, but the sensation was enough to shake her. For a while, it came and went. Then, it stayed. Running, which made it worse, didn’t seem worth it. She hasn’t quit, but she’s spent more than two years running in circles while trying to get back to what felt right. As a college sophomore, she has retired from competing at the University of Oregon, where she never got to put on a uniform, but she’s not exactly moving to Del Boca Vista any time soon. The real story starts years ago. But the immediate story begins in 2016, when I finally put together a season of consistent training after years of battling injuries. Much to my surprise, I ran 2:49:21 in the 2016 Chicago Marathon, and felt great doing it. I spent a day enjoying the accomplishment, and then began to wonder if I could go faster. What else could I achieve? I felt a fire within me.